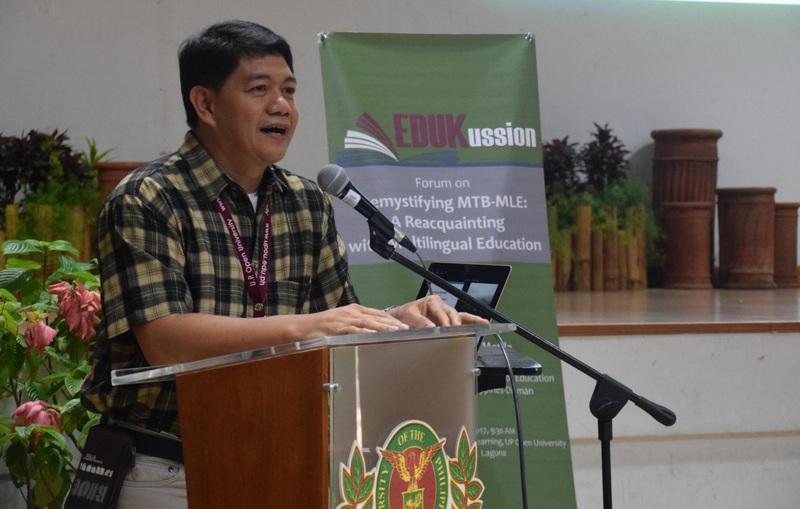 The Faculty of Education (FEd) held its 2nd EDUKussion Forum with the theme, Demystifying MTB-MLE: A Reacquainting with Multilingual Education. The forum was held on November 27, 2017 at the Centennial Center for Digital Learning (CCDL) Auditorium, UP Open University, Los Banos, Laguna. Participants were 146 teachers from schools nearby and around Los Banos. 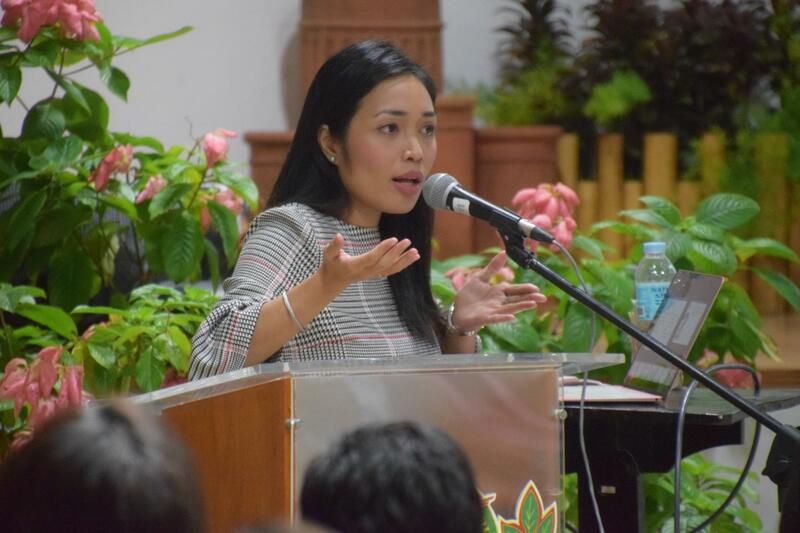 Main discussant was Dr. Romylyn A. Metila, an Assistant Professor in the Language Education Area of the College of Education, University of the Philippines-Diliman. Most of her research are on code-switching, language teaching methods, multilingual education, and language planning and policy. Dr. Metila discussed MTB-MLE’s history, its common misconceptions, and the advantages of implementing MTB-MLE as a community program. She believes that MTB-MLE “is not only a Department of Education (DepEd)deped program, but it can also be a community program, and it all depends on the implementers.” She encourages support, involvement and cooperation from the schools and the community in the implementation of the program. During the open forum, the teachers were encouraged to ask questions on program awareness and the problems encountered during implementation. One of the participants pointed out the lack of understanding and knowledge of the teachers themselves regarding the MTB-MLE program. Given this background, another inquiry that was raised pertains as to how the teachers would embrace the program itself. Dr. Metila asserted that awareness and “advocacy or information dissemination on promoting the program,” can help teachers embrace the top-down policy that is MTB-MLE. She encouraged the school heads to take extra measures on educating and equipping their teachers on the MTB-MLE program both in the public and private sector. Moreover, the intellectualization of the Filipino language is also one of the points raised during the forum. Dr. Metila noted that the Filipino language still has a long way to go to be at par with the English language. In order to intellectualize the Filipino language, the solution that she suggested is its continuous use. On this note, a Grade 3 teacher shared her experience on using Filipino language as the medium of instruction in teaching Math and Science. She identified the dilemma faced by the students during DepEd competitions wherein the medium used was English. In response, Dr. Metila insisted that the change in the language of assessment has to be communicated to the organizers of the competitions. She argued that the organizers should be informed of the DepEd program and conform to the medium of instruction used in the schools. Further research to pinpoint the causes of the problems encountered by the students inside and outside of the classroom during MTB-MLE implementation was similarly encouraged.